Prominent & Leading Manufacturer from Chennai, we offer muffle furnace, grooved furnace, high temperature muffle furnace, rectangular muffle furnace, bogie hearth furnace and furnace. 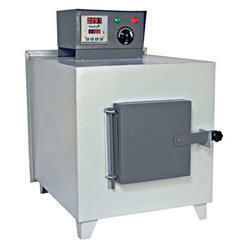 We are the Leading Manufacturer, Supplier, and Exporter of Muffle Furnace in Chennai, Tamilnadu, India. 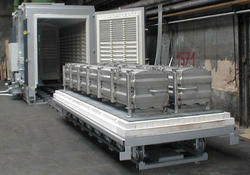 Being a client-centric organization, we are engaged in offering an unmatched range of Grooved Furnace to the clients. Widely used for weight analysis & for measuring the solid mass of organic material, these products are highly acclaimed by the customers in the market. We hold immense expertise in catering to the variegated requirements of the customers by bringing forth a remarkable range of High-Temperature Muffle Furnace. 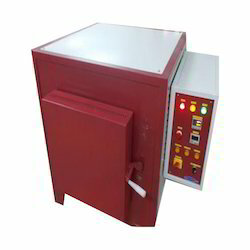 The high-temperature muffle furnaces offered by us are easily available in various designs in order to meet the variegated requirements of our valuable customers. These products are incorporated with small or large capacity tanks. With the help of our dexterous team members, we have been able to offer a comprehensive range of Rectangular Muffle Furnace. The offered range is manufactured using optimum quality raw material and other essential components required for the production process. 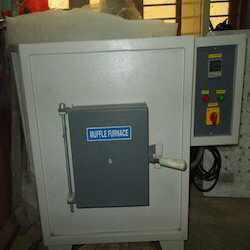 Before the final delivery, these rectangular muffle furnace is stringently examine these products on various parameters of quality. Bogie Hearth Furnace structure robustly designed & fabricated with heavy duty channel/angles for rigidity. Door operation is supported by pulley & counter weight for easy handling. Refractory brick lining in the chamber with stands uneven heavy loads. Bogie is lined with high-density Alumina bricks capable of resisting concentrated loads. Bogie travels with slow speed on either side of the furnace on guides. 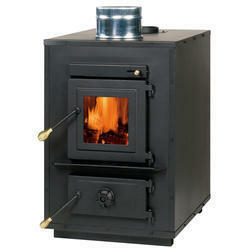 Backed by rich industry experience, we are engaged in offering an excellent range of Furnace. Widely used for weight analysis & for measuring the solid mass of organic material, these products are highly demanded in the market.